Eilene is having friends over, so I needed something to feed hungry 20-somethings. I have made versions of both this dish and jambalaya before, but I wanted one that was simple enough for a weekday meal. 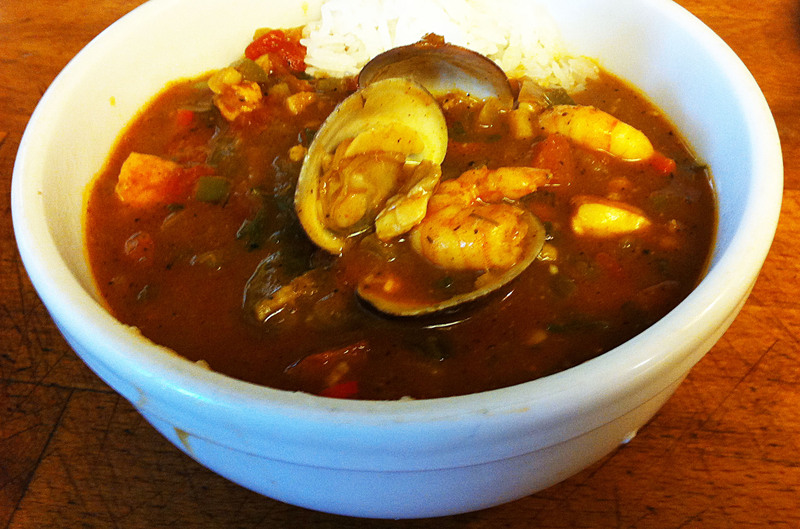 The basic difference between a gumbo and jambalaya is whether you pour the sauce over the rice or cook the rice in the sauce. The kids are coming over this Sunday. 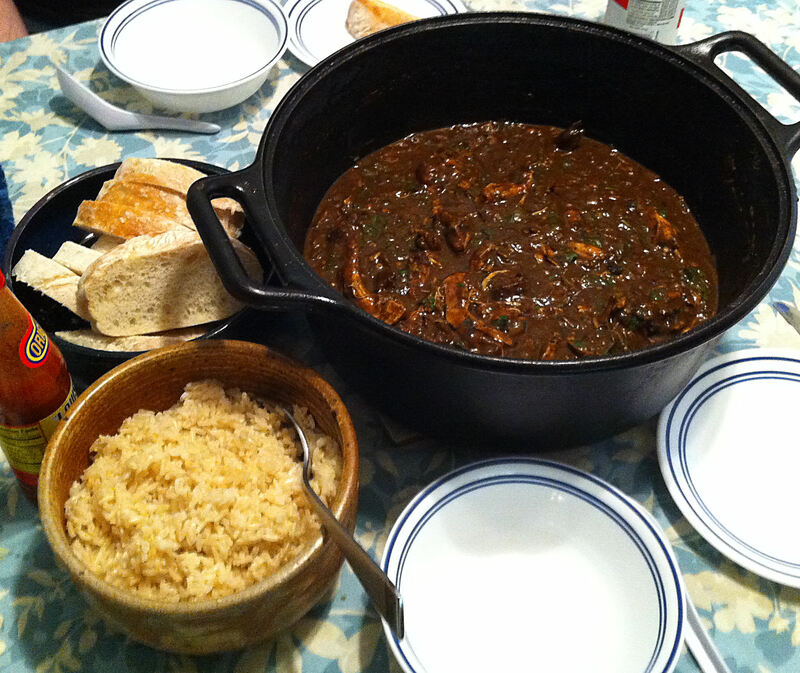 Last week, Miriam and Chris requested gumbo with okra, a signature Louisiana dish. I used to live in Gretna, across the river from the Big Easy, so I became very fond of Louisiana cuisine. The kids are not coming over this Sunday and Jan wants to go to a movie. Instead of my usual feast I will be making a late Sunday lunch. I finally settled on gumbo, a Louisiana signature dish.